Is it a bird? Is it a plane? Is it a... yeti? Nope, you got it right the second time. 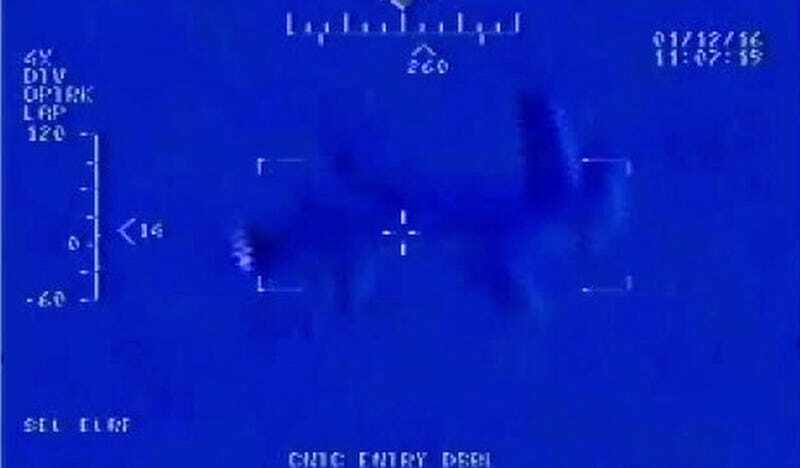 According to the US Navy, this is the Iranian drone that flew over the USS Harry S. Truman back on January 12, 2016. The Associated Press filed a Freedom of Information Act request to get a report detailing the first drone flight over an American aircraft carrier since September of 2014. Video from the drone, an Iranian Shahed model, was shown on Iranian state TV last month. Because the drone was in international airspace the US Navy had little reason to shoot it down. The aircraft posed no identifiable threat to its ship. The fuzzy video obtained by the AP would appear to confirm that the drone was not carrying any weapons. Relations with Iran have become a political football in the United States after both the drone fly-over and the brief detention of ten American sailors who drifted into Iranian waters. Some have criticised the “Iran deal” that lifted some sanctions on the country in exchange for assurances that Iran would not develop nuclear weapons. The agreement — politicised by people like Donald Trump who continually calls it “the worst deal of all time” — became even more controversial after this drone fly-over. It could not be confirmed at press time whether the Iran deal was, in fact, the worst deal of all time.